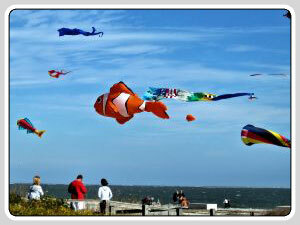 I have been a frequent visitor of Hilton Head Island for many years. 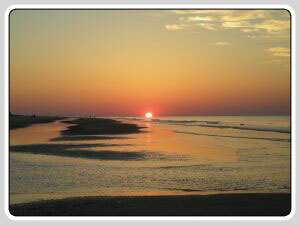 This beautiful upscale island located in Southern South Carolina offers a luxurious and relaxing vacation. If you are a fan of tennis or golf, or just love lounging on the beach, a Hilton Head Island vacation is for you! I have always chosen to rent a condo on the beach because I have found this is the most cost effective way to vacation in Hilton Head. I like the idea of having a full kitchen and the nice amenities that the condo communities offer. Most condominium or house rentals in Hilton Head are weekly only – if you are planning to visit for just a few days, a hotel may be a better option for you. Hilton Head is a tennis lovers dream come true! The Van Der Meer Tennis Academy is a world class training academy offering clinics for adults and juniors. If you are just looking to play recreationally, you will find that many of the resorts on the island have private tennis courts for you to either play or take a lesson or two from the tennis professionals on staff. If you are an avid golfer you will love the challenging courses located all over Hilton Head Island, which is considered one of the country’s foremost golf destinations. You will find good quality courses designed by famous PGA players nestled into the most beautiful locations on the island. One of my favorite things to do when visiting Hilton Head is to rent a bicycle. The island is 12 miles by 5 miles wide so it’s easy to sightsee on a bike! There are approximately 50 miles of public biking and nature trails to explore and in my opinion it’s the best way to take in all the island has to offer! The island offers 14 miles of beautiful, pristine beaches. The quiet, serene atmosphere of the ocean all around you will definitely be a relaxing escape. Because of the semi-tropical weather, you can enjoy the warmth of an island vacation all year long. Make sure to visit one of the islands marinas where you can enjoy some fireworks at night, some boutique shopping, and a romantic sunset dinner in one of many restaurants. There is an assortment of live entertainment for you to enjoy, either to kick back and relax or dance the night away! For your shopping pleasure you will find over 200 stores and outlets located all over the island. Whether you are looking for perfect souvenirs or something different for yourself, the shops in Hilton Head will have something for you! The dining experience on the island is by far my favorite activity! With over 250 award-winning restaurants, you will always have something delicious to choose from. You will find every cuisine you can think of, from good southern “down home” cooking to Thai, Greek and Mexican. There are a lot of wonderful seafood restaurants as well offering amazing fresh selections of local fish. My personal favorites are the Old Oyster Factory (seafood), Aunt Chilada’s Easy Street Cafe (Mexican), Kingfisher Seafood and Steak House, and the Kurama Japanese Restaurant and Sushi Bar. Make sure you stop by the Island Welcome Center to pick up some discount coupons you can use during your stay! My first impression of Hilton Head was how remarkably clean and well designed everything is. The architecture of each resort, restaurant and even the stores all match the high standards set by the Chamber of Commerce. Great attention to detail has been given to keep the island ‘environmentally friendly’ while maintaining an upscale theme to ensure you enjoy a relaxed yet fun vacation. I will definitely be returning and I hope that this review will encourage you to plan your next vacation with a visit to Hilton Head Island!